It isn’t perfect but it’s pretty darn close. I’m going to continue to count my blessings and be thankful for the here and now. I feel like a big ole great weight is lifted off my shoulders. I guess having faith does pay off. I was in a panic. I just started my 3rd semester and I felt like there was no way I was going to be able to focus this semester. Out of all semesters, this one? WTH? But it just did. I just started my first assignment and I feel like it’s clicking. I’m getting back into it, I hope lol. I say this now but give me an hour. Had to just take a break for a sec and post that. I’m sure there are a lot of you who feel the same way in certain situations like mine. You just can’t get it together sometimes! Arrghhh. Hate that. These were so easy to make and everyone loved how they tasted! I have two little guys ages 8 and 9, I’m in school full-time working on my associates in Human Services, and I work from home and substitute teach at the elementary school! I really have no time for fussing around with timely recipes so things like this work perfect into my schedule! 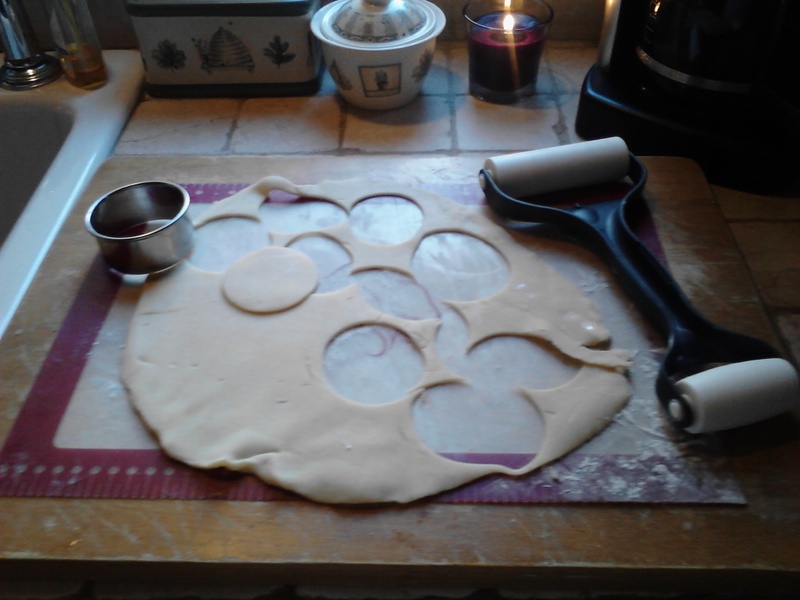 Use a round biscuit cutter to make circles to fit for a mini muffin pan. Grease the mini muffin pan with butter flavor cooking spray. Line muffin pans with the pastry cutouts. Remove from oven when done and let cool. Mean while when your baking the mini pie crusts, prepare your cheese cake filling. Pour in pie crust and chill. You can top with a fruit dressing, caramel or chocolate syrup. I like to use Libby’s pumpkin pie mix rather than the pure pumpkin. I like the taste better and it’s actually less work. 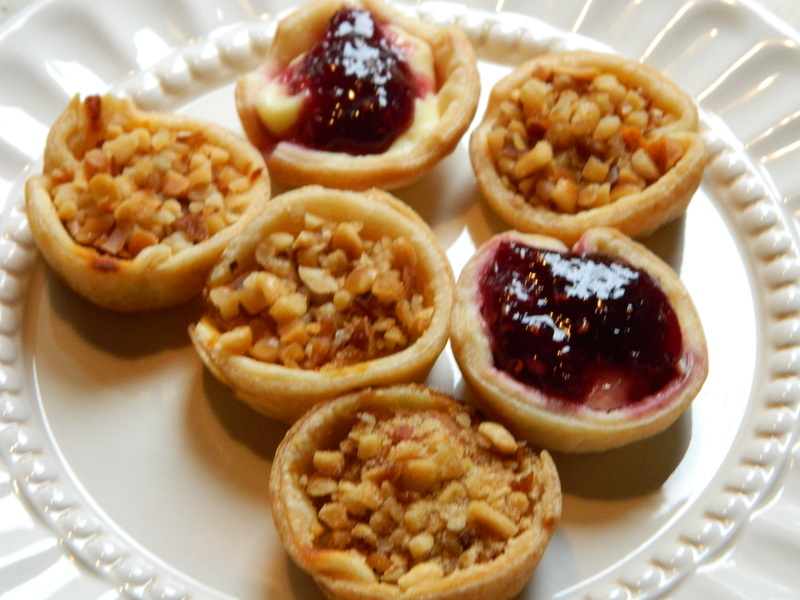 Follow instructions for pie mix and pour into mini pie shells before cooking them. I also like to top the pumpkin pies with nuts. These were quick and easy deserts that had a nice presentation as well!